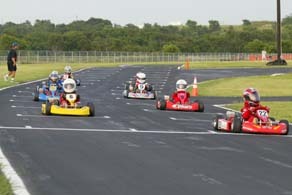 Evan races at the North Texas Karters Raceway in Denton, Texas. 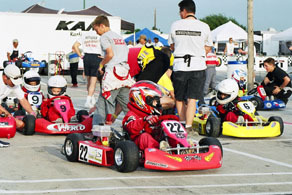 He started racing in July 2001 in the Kid Kart class. 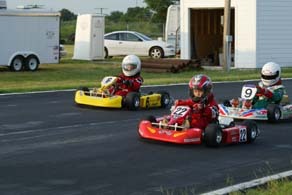 He has made a lot of friends and many great memories. 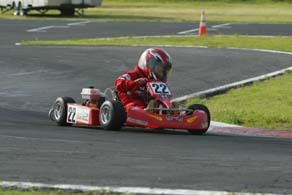 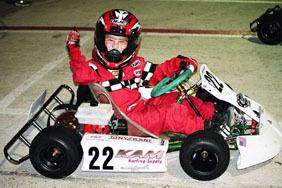 In the summer of 2002, Evan changed his chassis to a Tony Kart. 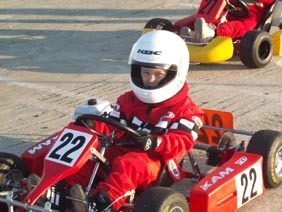 His times have improved greatly!